Family Owned and Operated for 28 years and counting, President Raymond Natale is proud to welcome new partner Robert Compono, formerly of City Tire. 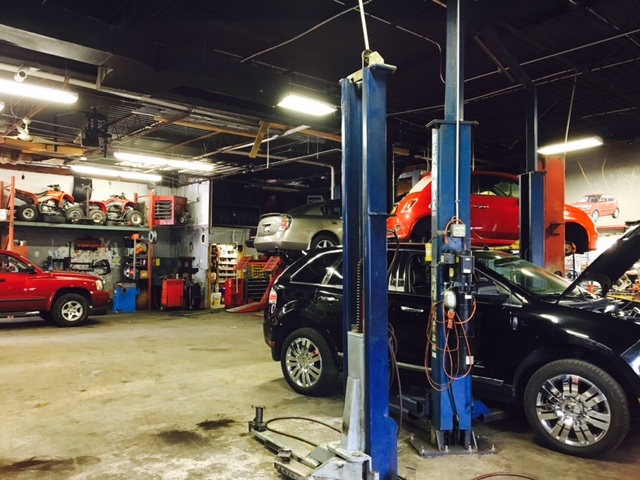 Serving the greater Long Island area since 1988, East Coast Transmissions is now your one stop shop for all of your car and truck auto repair and transmission needs! Our convenient location and hours of operation make it easy for customers to drop off and pick up vehicles. Our friendly staff is always willing to accommodate, offering free local pick ups and drop offs at work, home or the train station! Visit us today for free scan for engine codes or let us handle your insurance claim. We accept all major credit cards and offer extended warranties without the hassle of pricey dealerships. Call or stop in today to find out why we’re the choice of so many Long Islanders from Queens to Montauk and beyond! Located just south of Exit 35 on the Southern State Parkway before Route 109. And just north of Dunkin Donuts on Route 109. East Coast Transmissions’ main goal is offer all its customers a one stop shop for all of their car and truck auto repair and transmission needs. We recommend a service every 30,000 miles to ensure you get the most out of your vehicles’ transmission. Our typical turnaround time is one day or even less! Our convenient location and hours of operation make it easy for customers to drop off and pick up vehicles.